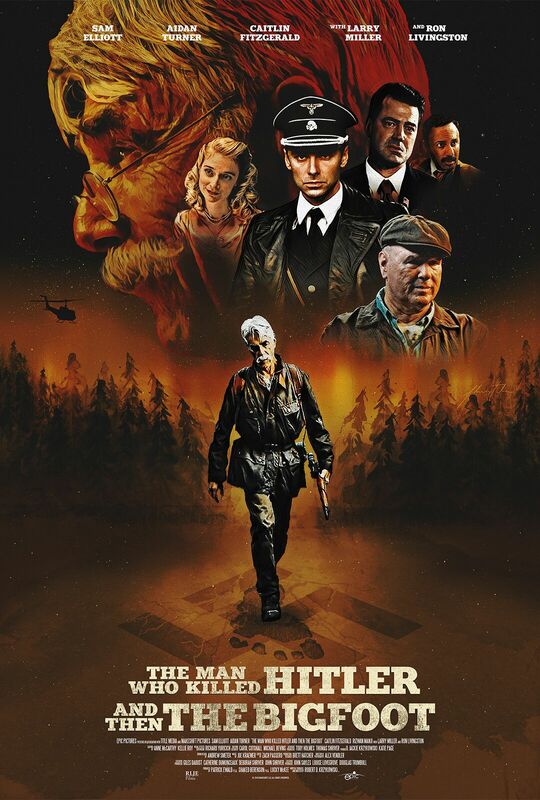 When a film has a title like "The Man Who Killed Hitler and Then The Bigfoot", you can't ignore it. It is too interesting to not google what this film is. Who made it? Who is in it? Is it zero budget garbage? Is it a joke? When you see that the titular man is played by the god-like Sam Elliott, you realize, it's no joke. When you see the supporting cast include Ron Livingston, Larry Miller, Caitlin FitzGerald and Poldark's Aidan Turner, you realize you must see this film. Sam Elliott stars as Calvin Barr, a World War II veteran who is living a quiet life by himself. We see flashbacks from his days in the war, where it is revealed that he played an important, unsung part in history (see film's title) and also that he was in love with a school teacher named Maxine (FitzGerald). As the film progresses, we see that Calvin has skills that he learned in the army which he may need to use to make history again. 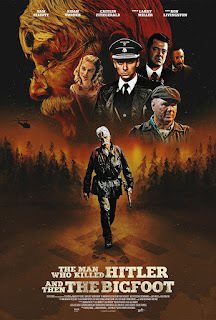 To take a great title like "The Man Who Killed Hitler and Then The Bigfoot" and then make a film that is even better is rare. First time director Robert D. Krzykowski mixes war, horror, sci fi, fantasy and drama in a movie so well made that I can't think of anything like it. The characters and screenplay are so well written that you forget at times what you are watching. Aidan Turner (who I agree would make a great James Bond, as some of the tabloids have stated) does a great job playing the younger version of Calvin Barr and his relationship with Maxine is beautifully portrayed. Larry Miller also gives a touching performance as Calvin's brother Ed. I must also mention that Douglas Trumbull did the visual effects for this film. If you don't recognize the name, he also did the effects for some little films like 2001: A Space Odyssey, Blade Runner and Close Encounters of the Third Kind. Perhaps you heard of them? I don't want to really give away too much more of the title's meaning as it is an important part of what makes the film so mesmerizing. If you get the chance to see this film on the big screen, do it. You won't regret it. But by whatever means necessary, see it. It really is a masterpiece and has risen to become one of my favorite films of all time. I am really excited to see what Krzykowski does next.